The ESV Story of Redemption Bible is a new Study Bible from Crossway and it is the first of it’s kind that I can remember. The story of redemption is one that is woven throughout Scripture both in the Old and New Testaments. It is with that mindset that the Story of Redemption Bible seeks to portray the biblical text. When I first received this Bible I did not think I was going to like it. It does not have study notes at the bottom like a tradition Study Bible. Rather, the notes are inline with the text. I thought this would be distracting but I find the notes unobtrusive when actually reading and they provide great insight into the text that you are reading and how it aligns with the story of redemption. With approximately 900 notes it is by no means an exhaustive Study Bible but you would not expect it to be when its main focus is only one topic. That being the case, this would not make sense to be a primary Study Bible for someone, it is specialized. I received the hardcover version and it is a beautiful cloth over board edition. The dust jacket features beautiful gold inlays as does the cover itself and the presentation pages. The artwork throughout the Bible is stunning offering diagrams and other helpful graphics. In the back of the Bible there is a large fold-out timeline to give you the overall arching themes and events of Scripture. All is very well done. For me, it is a Bible I will likely be using on a regular basis. I like the fact that, for the most part, I am alone with the Biblical text and there are just a few notes here and there to help me understand something more clearly with regard to redemption. Because of that, this Bible may very well become my go to reader. I give this Bible four out of five stars. I was given this Bible for free in exchange for a fair and honest review by the publisher. 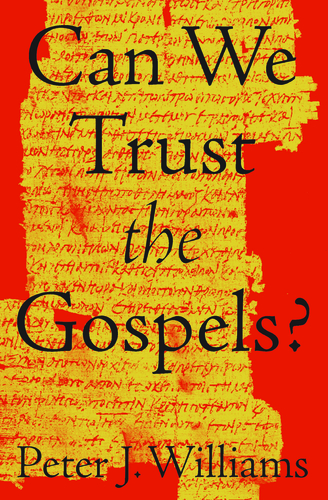 Book Review: Why Trust The Bible? The historicity and accuracy of the Bible, particularly the New Testament, are topics of major importance. Throughout history, people have called into question the validity of the Bible. Those questions increased drastically in the 20th and now the 21st centuries. People simply are skeptical of the Bible and Christians need to be ready for a defense of the Scriptures. Greg Gilbert has provided in this book a masterful pairing of the classical arguments and proofs for the authority of the Bible and modern day illustrations to help us understand each concept. He asks, and answers, the important questions of what about the fact that we do not have originals, only copies of copies? Did these events really happen? Can we really trust the authors? All of these questions, and more, are answered in Why Trust the Bible?